Artist Leonardo Pereznieto is a YouTube phenomenon. His channel, Fine Art Tips, has more than 370,000 subscribers, and his art instruction videos have received more than 30 million views. 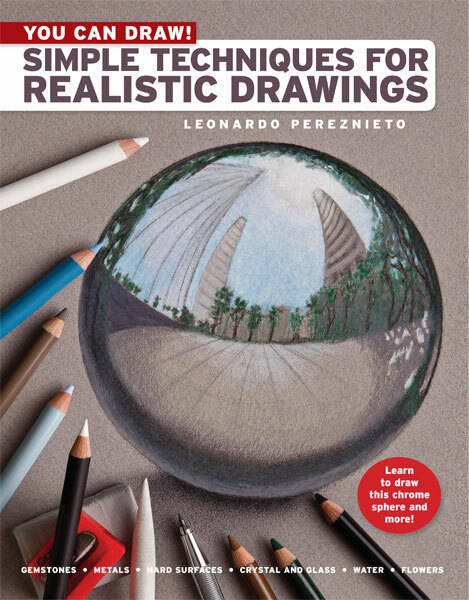 We are proud to publish his first-ever book, one that will allow deeper insight into his technique and give simple, easily—executed yet detailed, step-by-step instructions for drawing the hyper-realistic surfaces and textures—including chrome, feathers, fur, gem stones, water droplets, wood, and more—that have earned him such a large and devoted following.